If you’re looking to add a new four-legged member to your family, why not consider adopting a senior pet? Adopting a pet is always a rewarding experience but adopting a senior pet is extra special. These pets are often overlooked at shelters and rescues due to their age, but they have just as much love to give as a new puppy or kitten! There are many reasons why an older pet can end up in a shelter; their owner died, their family moved and was unable to take the pet with them, the list goes on! Now, these animals want a new family to spend their golden years with. Age is not an imperfection! Although an older pet may not be what you were picturing when you decided to get a new companion, they can still fill your life in all the ways you were imagining. Many older dogs still have that “puppy-energy” and can keep up with your active lifestyle (within reason). Older cats often love chasing the laser pointer just as much as any kitten. Or if you’re looking for a more laidback companion, why not pick an older pet who shelter staff will know is already very relaxed? With older pets, they’re already set in their ways, so you won’t get any surprises. If you are considering adopting a senior pet, there are a few things to remember. Some pets may come with pre-existing health issues. This does not mean they won’t make the perfect companion; it just means they require a little extra attention! These health issues may require a special diet, exercise routine or prescribed medications so it is important that you can fit these things into your routine and budget. Pets that suddenly lose their family can also come with some anxiety, so it is important to be patient and earn their trust. 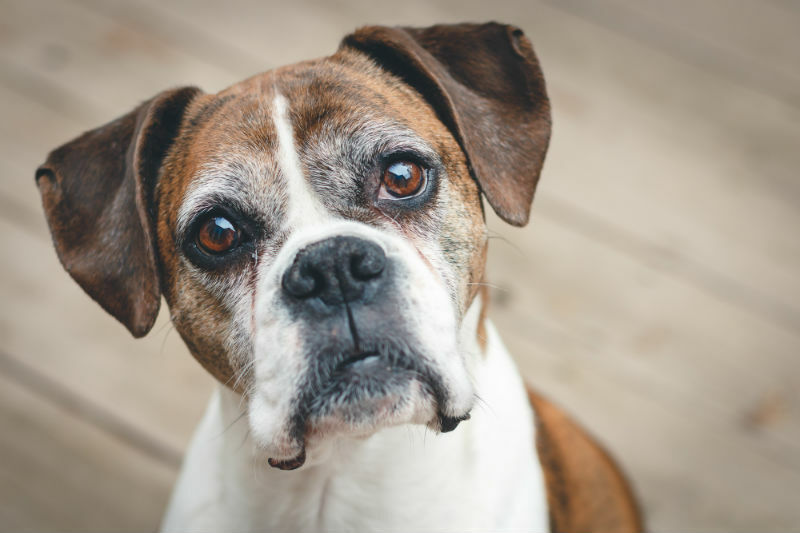 Finally, the most important thing to remember about adopting a senior pet is that while your time with them will be sweet, it will also be shorter than normal. However, this is what makes adopting a senior pet so special. You are giving them a chance to spend the best years of their life in a loving home, instead of a shelter. Adopting a senior pet can be such a wonderful experience, so next time you are looking for your new best friend, don’t count the older ones out! If you have any questions, don’t hesitate to call our hospital at 905-855-2100, we are open 24 hours a day, seven days a week. 2018 Readers' Choice Awards Winner! Why Does My Pet Need Annual Bloodwork? Rare Breed of the Month – The Sphynx Cat! 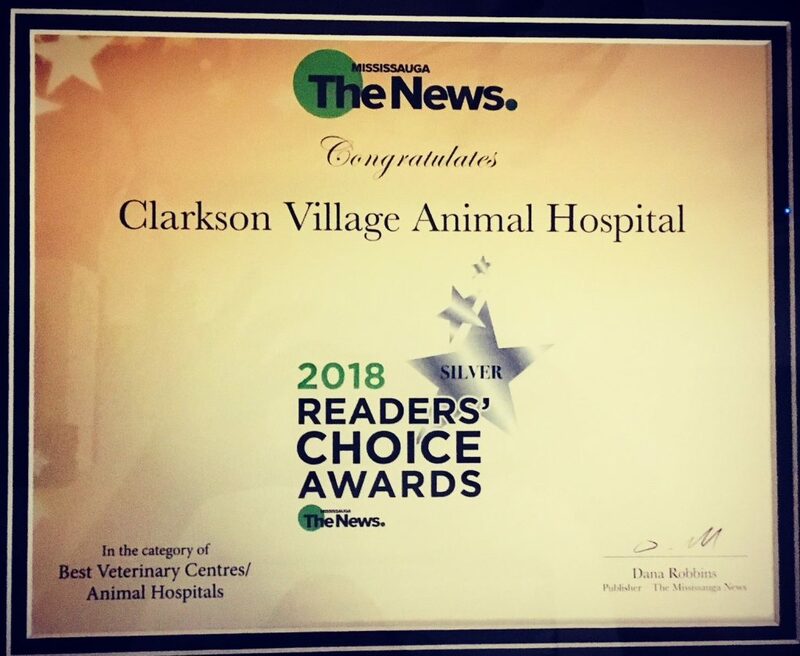 We are so happy to announce that we have won the 2018 Reader’s Choice Award in Mississauga in the category of Best Veterinary Hospitals! This award is very special to us as the voting is done by the community and our clients. We would like to thank every person who took the time to vote, or even took the time to share your experience with someone else.